Education often begins at home. Establishing and maintaining a good diet and regular oral hygiene practises during childhood can help create continuing good oral health through to adulthood. And a great way to start is to instil good dental habits in your children from a young age. It is the start of a new school year and your children have new uniforms, new books and new teachers. But don’t forget their oral health. 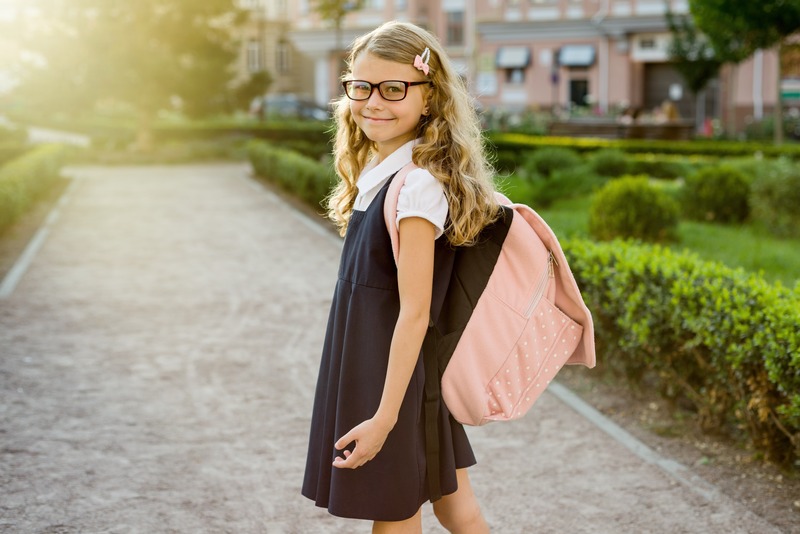 Here are four dental health tips to add to your back to school check list. Dental check-ups and a clean are recommended every six months to prevent dental problems or diagnose and treat problems in the early stages. Your dentist may suggest preventative treatments such as a fluoride treatment or fissure sealants to prevent decay. The early diagnosis and treatment of dental problems may save your child toothaches, which can result in distress to your child and absence at school. The earlier you start your child’s routine of visiting the dentist regularly the greater the chance that they will continue the habit as an adult. The Federal Governments Child Dental Benefit Scheme is a fantastic initiative to promote oral health in children. Eligible families are entitled up to $1000 for every child aged between 2 to 17 for certain dental treatments over a two year period. This may help encourage regular visits to the dentist with the associated costs being subsidised. Children need to brush their teeth for two minutes, twice a day and floss daily. Make tooth bushing fun by letting your child pick their own tooth brush with their favourite character on it and play a favourite song for them to brush to. It is recommended for an adult to brush their children’s teeth at night up until the age of 9 years. Night time brushing is the most important and children can brush their own teeth in the morning to develop their skills and promote independence. However, avoid letting your children skip their morning brush during the rush to get them to school and don’t leave it until they are too tired at night. Stress to your children that it is important to keep up this routine. Toothbrushes should be changed every three months and a good way of remembering this is to change their toothbrushes every school holidays. A heathy diet is not only important for your child’s general health, it is a major factor in avoiding tooth decay. Include items such as whole grain bread, cheese, raw vegetables, yoghurt and fruit in your child’s lunch box. Avoid having sticky or sugary foods, soft drinks and pre-packaged food as a regular component of your child’s diet. If your child is going to consume these food items they should be as a treat, not a regular part of their diet. Discuss “everyday foods” and “sometimes foods” so your children can make good decisions on what foods they eat at school. Good dietary habits instilled through childhood can help set them up well throughout their life and contribute significantly to good health. A custom fitted mouthguard from your dentist is recommended for all children when playing contact sports. Sport and exercise is a key element of a child’s life in order to encourage social participation and healthy lifestyles. Accidents and injuries do occur on the sporting field, however the risk of serious dental injury can be greatly reduced by the use of a custom fitted mouthguard. Permanent teeth will not grow back if they are lost, so taking every precaution and preventative measure will help protect your children’s teeth.